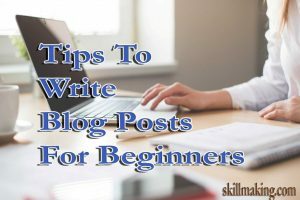 In this article, I will share some information regarding Top 6 tips to write a blog post for Beginners 2019. If you are interested to learn about write blog post then you should read this article continues. 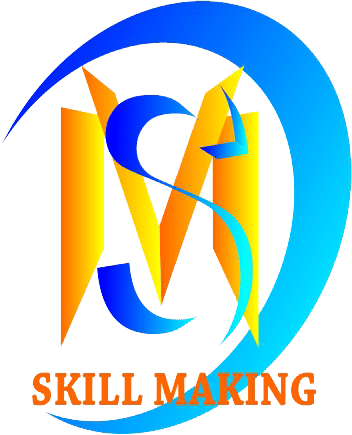 Are you a beginner in blogging? Do you want to rank your article on the first page of Google? Do you want to learn about blog post writing? If your answer to all these questions is yes then you are at right place. Here I will give you the answer to these questions. I hope you will love them. Many people ask me how to write better blog post. So if you are also one of them then you should read this article continues. Here I am giving some tips regarding blog writing format. To rank your blog post, this is very important that your article should be the best. If your article is well written then that chances to rank your post are very high. So you should focus on improve your writing skills. Here I am sharing some methods to write blog post. You must read them to write best blog posts. I hope these blog writing techniques will help you more to earn money. First of all, you should write a unique article. This is very important for a blog post. Because Google checks plagiarism. And if Google finds plagiarism in your post then you can’t rank on Google. Because Google never crawls those pages who have plagiarism. Plagiarism means copied content. So you should avoid copied content. Never try to write any copied content on your website. If once Google got copied content from your website, your website will be penalized. And you will never rank on Google. So always write unique content. You should always use headings. Because headings tell the complete article structure to any web crawler. So always use headings in your post. You should use heading tags on your blog post. These heading tags start from H1 to H6. Here you should consider that you should use H1 tag only one time in your blog post. You can use H2, H3, H4, H5, H6 heading tags multiple times in your post. You should define your blog title from the H1 tag. And you can use other heading tags according to your article sub-headings. Headings are very important to understand your article by any web crawler and Google’s crawler. You should use LSI keywords in your blog post. This is also very important to write your blog post. If you don’t know about LSI keywords then you should read them from below. Firstly, you should find LSI keywords for your article. Then you should start to write your article. And you should use LSI keywords in your article. You can take the help of some tools to find LSI keywords. Like LSI Graph. You should use social media content on your article. This is very important to write an article. You should always embed social media content on your article. It makes your article powerful as compare to an only text article. You can use images by embedding your social media post on your article. If you do not understand my words then you should see the example below. Here I used an image on this article. But this image is published on my Instagram. It gives us two types of benefits. The first one is we use it to increase our SEO quality and the visitor can know about us on social media. Thus you can increase your social media followers. Thus you can also use your youtube videos or Facebook posts or Twitter tweets etc. Article length is also a good parameter in article writing. So you should always write an article with good length. You should always write an article minimum of 500 words. Because your article length says how much you described a topic. So you should always write a lengthy article. But make sure your article shouldn’t be boring. Because nobody loves a boring article. To make interesting your article, you can use images and knowledgeable cartoons in your article. They will be made your article interesting. You should always try to communicate with your visitor. Because trust builds on communication. And if you will communicate with others then you have a chance to build trust. You can ask some questions in your article. The visitor will give you the answer to them. Thus you can create a conversation between you and your visitor. And they will come back on your blog to learn more. Communication makes bounding between your visitor and you. So always use some words to communicate with your visitors. Finally, in this article, you got information about Top 6 Tips to Write your Blog Post for Beginners 2019. Here you got information about how to write a blog post. Many people wanted to write an interesting article. I hope now after this article, you can write interesting articles. Here we discussed the article writing. We discuss these tips. I hope you love this article. Please tell me about your thoughts in the comment section below. You should also watch this video to learn more about blog post writing. You can follow me on Instagram to ask any type of questions regarding SEO and blogging. I am always ready to help you. Thank you for reading this article till the end. This entry was posted in blog, blogging, digital-marketing, seo and tagged how to write blog post, how to write interesting blog post, Top 6 tips to write blog post for beginners 2019, write blog post, write blog post for beginners. Bookmark the permalink. ← Why You shouldn’t Use Free Web Hosting?